Sister to Melissa, owned by Jurgen Rosner and Jurgen Papenfuss have wanted a hound to show in England for some time, and we are honoured they considered Luffa good enough to have the faith in us to campaign him. 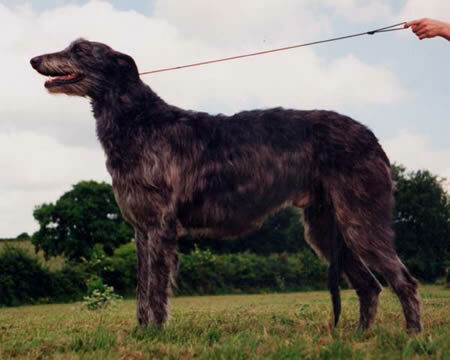 Luffa won his first CC at the 1999 L.K.A under Jean Matthews, and his second at Crufts 2000, and was awarded his title at Bath 2000. His fifth CC was at Houndshow 2000 where he went BOB.